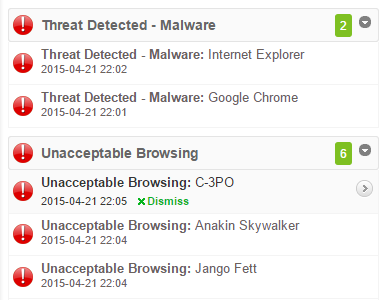 Web Activity Reports That Make Sense. For SonicWall. 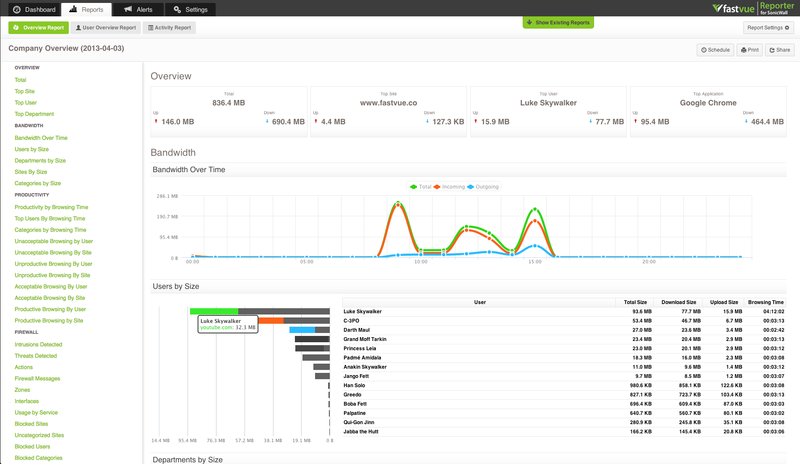 Fastvue interprets log files from SonicWall to deliver useful web activity reports to HR, Department Managers and You! You don’t need to be a log analysis expert to understand Fastvue Reports. Designed for HR, Department Managers and IT. 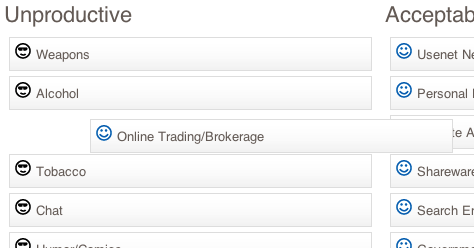 Fastvue Reporter is always ready to show you what is happening on your network right now. 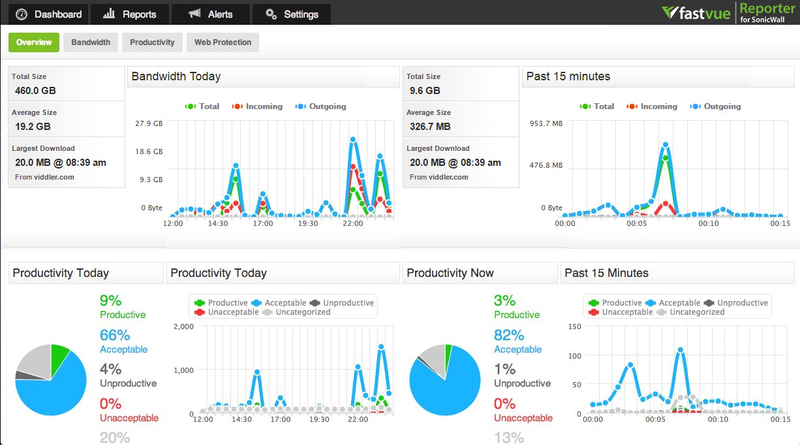 Real-time dashboards focus on the trifecta of network concerns: Bandwidth, Productivity and Security. Internet Reports produced by web gateways such as SonicWall do not distinguish between the web sites people intentionally access, and the web sites that are automatically accessed behind the scenes. Managing employee productivity is a job for Department Managers or HR. 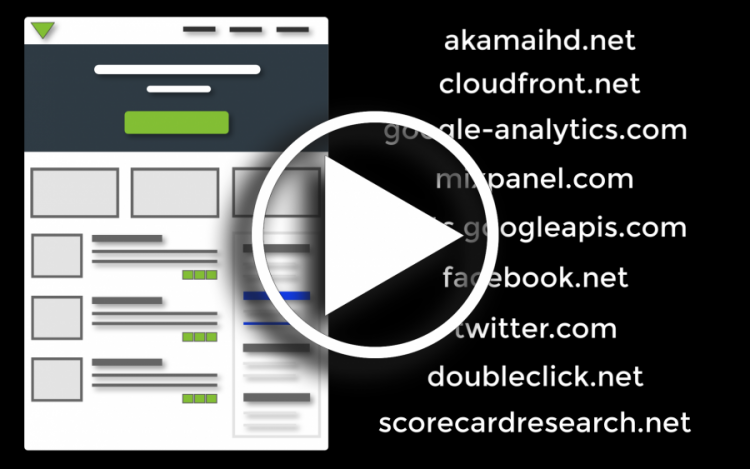 Get web activity reporting off your desk and into the hands of the people that need it! 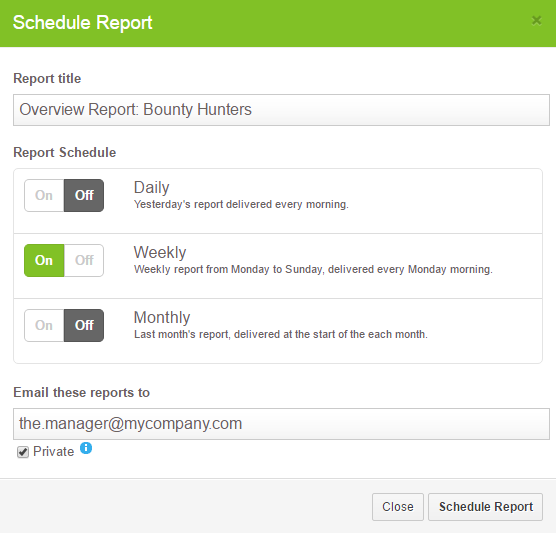 Easily filter reports by Departments, Security Groups, Offices, or Subnets and automatically send them to the right person each day, week or month. 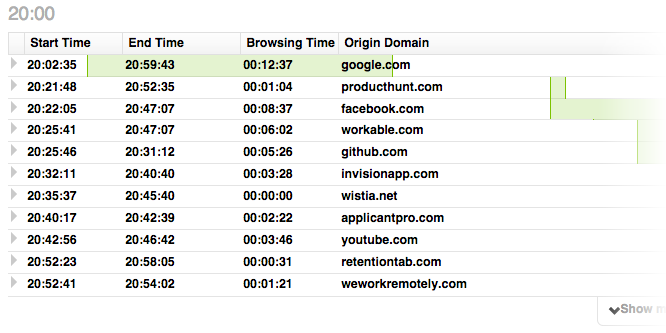 Fastvue’s innovative Activity Reports not only include full activity details such as timestamps and full URLs, but they intuitively group them into browsing sessions with green bars showing exactly when browsing started and stopped. A real time saver compared with trawling through logs. Send instant alerts to the right people a soon as notable issues occur such as enormous downloads, and unacceptable activity and network threats. All the detail they need, sent straight to their inbox! Fastvue Reporter assesses web productivity according to your guidelines to highlight unproductive or unacceptable browsing. See exactly what is being allowed (or blocked) that shouldn’t be, and adjust your Content Filter policies accordingly. Fastvue Reporter for SonicWall gave us the ability to identify time-wasting traffic and maximize our bandwidth usage for all employees. 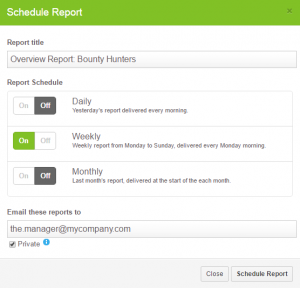 Such a great granular reporting tool! Need the flexibility to schedule reports for subnets instead of departments, or ‘monitored’ traffic vs ‘allowed’ traffic, or perhaps drill into a specific MAC address or Source Zone? Fastvue Reporter’s advanced filtering engine narrows down your reports to anything you can dream up! Configure all your SonicWall devices to send Syslog messages to Fastvue Reporter and enjoy a centralized view of your entire network’s web and firewall activity. Fastvue Reporter for SonicWall is fantastic!!! Certainly one of the best software packages I’ve ever come across – does exactly what it needs to do, dead easy to use, and fantastic support from the Fastvue team! (Read Gordon’s full review). Fastvue is a SonicWall technology partner, but our reports are not focused on showing you how excellent your SonicWall is. Our reports may highlight traffic being allowed when it shouldn’t, blocked when it should, mis-categorized websites, ineffective policies and more. Fastvue Reporter gives you the information you need to make your network efficient, productive and secure, getting the most out of your SonicWall investment. SonicWall has been fighting the cyber-criminal industry for over 25 years defending small, medium size businesses and enterprises worldwide. Backed by research from the Global Response Intelligent Defense (GRID) Threat Network, their award winning real-time breach detection and prevention solutions, coupled with the formidable resources of over 10,000 loyal channel partners around the globe, are the backbone securing more than a million business and mobile networks and their emails, applications and data. This combination of products and partners has enabled a real-time cyber defense solution tuned to the specific needs of the more than 500,000 global businesses in over 150 countries. 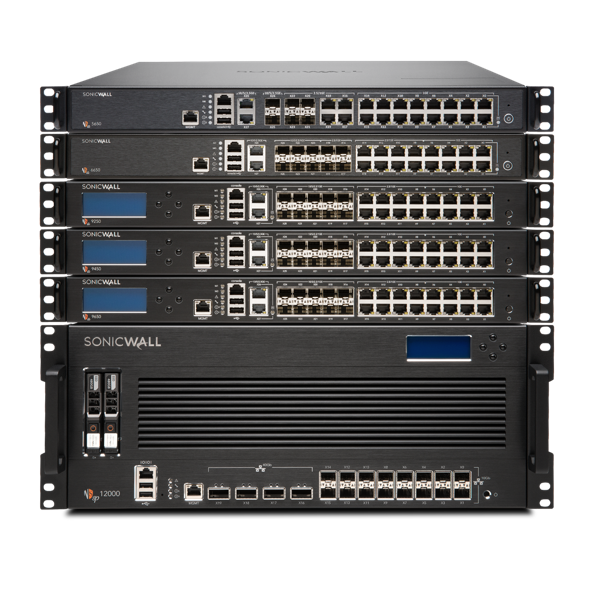 Contact SonicWall to find out more!